After eight coats of polyurethane Fourm Factor is finally finished, has had its promo pictures taken, and is now published on this site at the link below.. 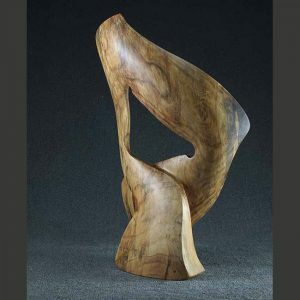 I love the soft feel this form imparts and the motion of the line as the eye traverses through the complete 360 degrees of rotation. It slumps in a relaxing posture giving a “peaceful easy feeling”, seductive as a chase lounge to the weary. Fourm Factor’s title is a play on words using the form of a 4 as a factor in form. The idea was to use the numeral and embellish on its essential shape to realize the beauty that is constantly around us in the most inconspicuous places.